This spring semester the Department of Global and Intercultural Studies (GIC) is hosting a series of lectures, Refuge/Refugee, to call attention to the world's refugee crisis, overwhelmingly Syrian, which in 2016 became the largest since World War II. 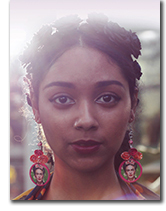 The series begins March 16 with a presentation by Safia Elhillo at 4 pm in 152 Shideler. Elhillo is a Sudanese-American poet, performer, and author of her new book, The January Children. She describes these children as "the generation born in Sudan under British occupation, where children were assigned birth years by height, all given the birth date January 1." Four more lectures in the Refuge/Refugee series from other prominent speakers continue through March and conclude on April 20. "The Refuge/Refugee Lecture Series foregrounds the historical phenomenon of the refugee crisis by inviting prominent figures like Ms. Elhillo to share their insights and experiences with a public audience," said Jana Braziel, Western College Endowed Professor and chair of the GIC department. According to statistics maintained by the United Nations Higher Commissioner for Refugees (UNHCR), there were a staggering 65.3 million forcibly displaced people in 2016 — a group that included 21.3 million refugees, 10 million stateless people, and 107,100 resettled refugees. In Syria alone, there have been almost 5 million refugees and an additional 6.5 million internally displaced persons since the onset of that country's civil war in 2011. Braziel, whose instructional topics include the intersections of diaspora, transnational activism, and globalization, offered the broader basis for her department's sponsorship of this lecture series. "In December 1948, the United Nations — which had only ratified its charter three years earlier — was facing a host of global crises," she said. "This included the post-WWII wakes of the Holocaust (Shoah), a war-ravaged Europe, anti-colonial and independence struggles in Africa and Asia, the 1947 'Partition' of the Indian subcontinent into India and Pakistan, the creation of Israel and the 1947 Israeli-Arab war, and the violent uprooting, displacement, and consequent statelessness of Palestinians." As a response, she explained, the UN drafted and ratified the Universal Declaration of Human Rights, guaranteeing in Article 14(1), the "right to seek and to enjoy in other countries asylum from persecution." Then, in 1950, the UN created the High Commissioner for Refugees and, one year later, held the Convention on Refugees, where the ratifying members legally defined a refugee as any individual "owing to well-founded fear of being persecuted for reasons of race, religion, nationality, membership of a particular social group or political opinion, is outside the country of his nationality and is unable or, owing to such fear, is unwilling to avail himself of the protection of that country; or who, not having a nationality and being outside the country of his former habitual residence as a result of such events, is unable or, owing to such fear, is unwilling to return to it." "For the almost 7 decades since, the rights of refugees and the guarantee of non-refoulement (protection from forcible return or repatriation to the origin country where one has fled) has been a foundation of international law," Braziel said. All lectures are free and open to the public. For further information, contact Dr. Braziel (brazieje@MiamiOH.edu). In addition to the Refuge/Refugee series, the GIC department is the sponsor of the Penny Lecture Series, whose theme for spring 2017 is Crossing Borders. These presentations are counted as part of the 2-credit Critical Inquiry course (BWS/SJS/SOC 265) and are offered on Mondays at 6 - 7:50 pm in 001 Upham Hall. The next edition of the series takes place on March 13 and features assistant professor Lu Zhang from Temple University's Department of Sociology. The title of her talk is "Inside China's Automobile Factories". The Penny Lecture Series, which is also free and open to the public, is organized by Black World Studies professor Rodney Coates (coatesrd@MiamiOH.edu).